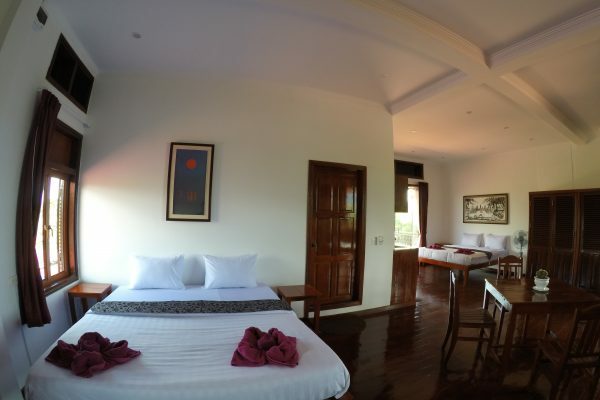 This enormous room has two kingsize beds and a comfortable lounge area with giant flatscreen TV. 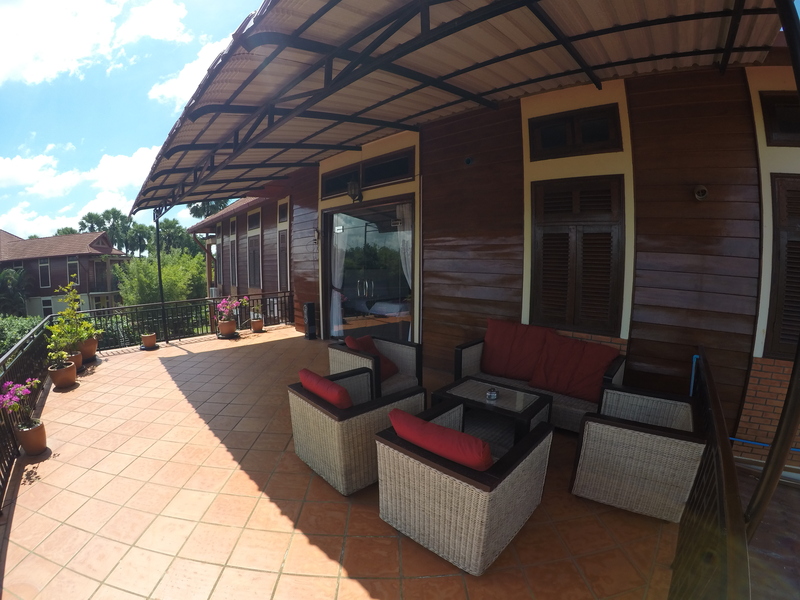 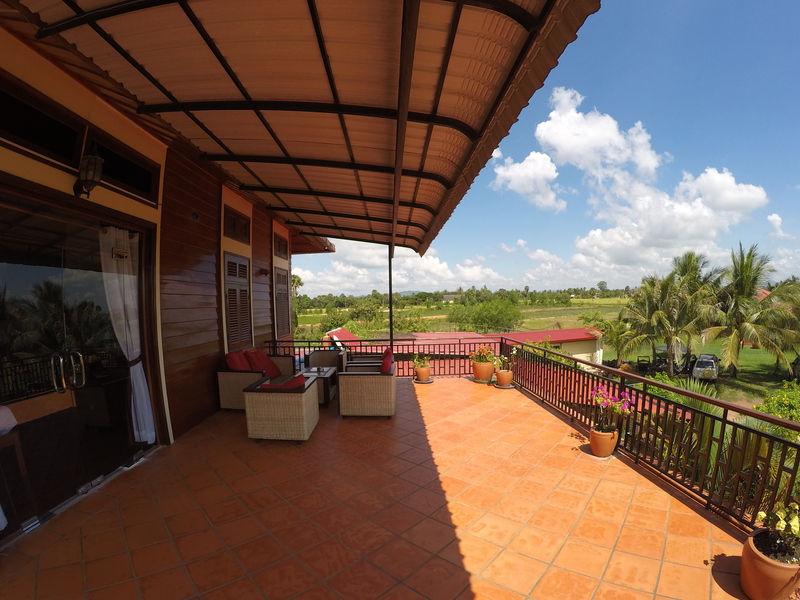 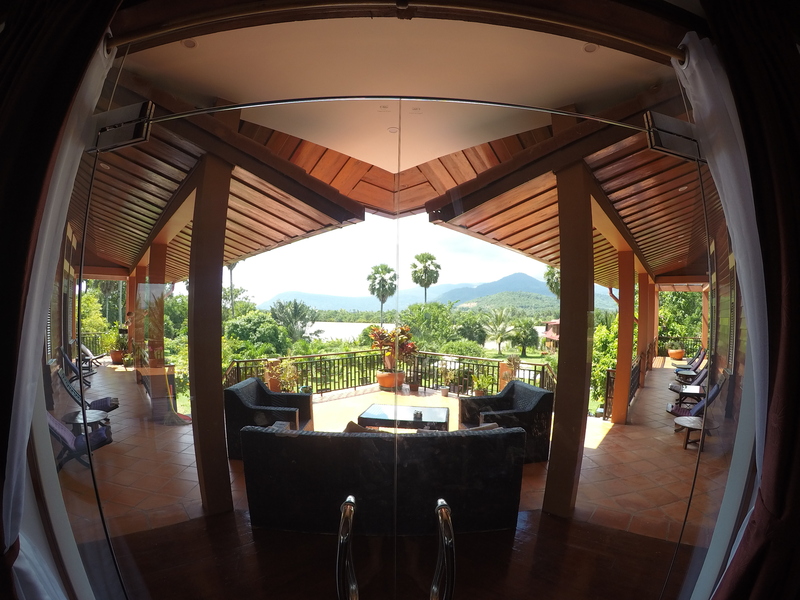 The views of the Kampot river and Bokor mountain from the balcony at sunset are stunning. 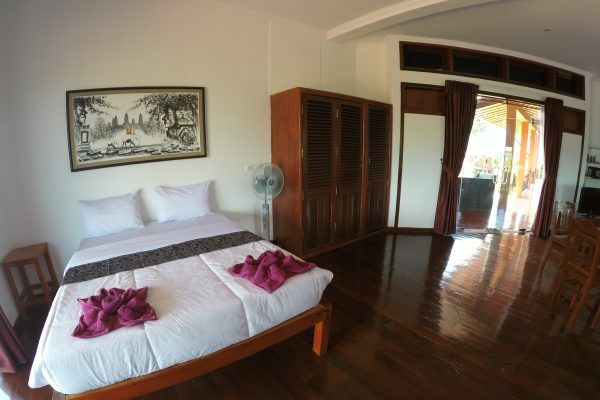 The suite is equipped with a full kitchenette and oversized bathtub. 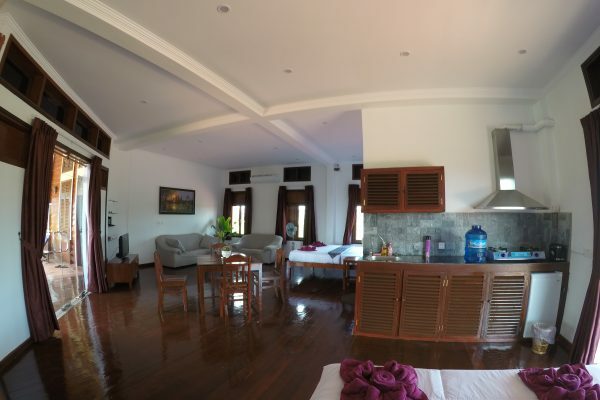 This selection is perfect for families or groups who want a large personal space in the heart of the main house, close to the pool and the restaurant/bar.